10 a.m. Tai Chi with Elliot Barden. Also Tuesday at 12:30 p.m. Rustic Canyon Recreation Center, 601 Latimer Road. 10 a.m. Tai Chi for Seniors. Loose, comfortable clothing and shoes are recommended. Pacific Palisades Woman’s Club, 901 Haverford Ave.
3:30 p.m. Teen Council. Teens ages 11 to 18 are invited to help plan programs. Palisades Branch Library, 861 Alma Real Drive. 6 p.m. Wings Over Malibu 2019. Presented by the Emily Shane Foundation. emilyshane.org. The Sunset Restaurant, 6800 Westward Beach Road, Malibu. 9:45 a.m. Community Chair Yoga with Alison Burmeister. Seated yoga and breathwork. $15 suggested donation. Pacific Palisades Woman’s Club, 901 Haverford Ave.
8 p.m. “Clybourne Park” by Bruce Norris. Presented by Theatre Palisades, with performances on Saturday at 8 p.m. and Sunday at 2 p.m. theatrepalisades.com. Pierson Playhouse, 941 Temescal Canyon Road. 9 a.m. N/E/X/T/Garden Monthly Volunteer Workday. Join Palisades Beautiful and Pacific Palisades Garden Club to maintain and improve the garden. Temescal Canyon Park, 700 Temescal Canyon Road. 11 a.m. Palisades YMCA Healthy Kids Day. With obstacle courses, water games and wrist rockets. palisadesmalibu@ymcala.org. Temescal Gateway Park – Simon Meadow. 1 p.m. Origami Club with Travis Taft. Everyone is welcome, from beginners to experts. Palisades Branch Library, 861 Alma Real Drive. 8:30 a.m. Walk With Love 2019. Hosted by Dr. Susan Love Research Foundation. walkwithlove.org. Palisades Recreation Center, 851 Alma Real Drive. 8 a.m. Breakfast Mixer. Hosted by the Pacific Palisades Chamber of Commerce. 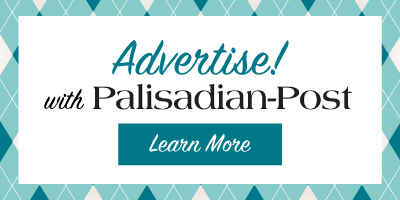 palisadeschamber.com. Porta Via Palisades, 1063 Swarthmore Ave.
8:30 a.m. Yoga with Alison Burmeister. Vinyasa yoga class for all levels. $15 suggested donation. Pacific Palisades Woman’s Club, 901 Haverford Ave.
3:30 p.m. Family Storytime. Stories, fingerplays and rhymes for children ages 3 and up. Palisades Branch Library, 861 Alma Real Drive. 10 a.m. Breathing Space for Parents: A yoga/meditation series led by Jess Lakin. mothertreeparenting.com. 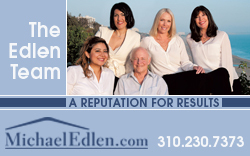 Pacific Palisades Woman’s Club, 901 Haverford Ave.
10 a.m. Positive Aging Group. Pre-registration required by emailing kane@kanephelps.com. Palisades Lutheran Church, 15905 Sunset Blvd. 10:15 a.m. Baby and Toddler Storytime. A lap-sit mix for babies and toddlers 36 months and under. Palisades Branch Library, 861 Alma Real Drive. 6 p.m. Bridge Game. Open to everyone. Rustic Canyon Recreation Center, 601 Latimer Road. 3:30 p.m. Teen Crafternoon: Mini ceramic pot design, for tweens ages 9 to 18. Palisades Branch Library, 861 Alma Real Drive. 7 p.m. Women’s Networking Event: Spring Cleaning for Your Body, Mind and Spirit, hosted by Success Becomes Her. Pacific Palisades Woman’s Club, 901 Haverford Ave.
Post your events at palipost.com/submit-your-event.